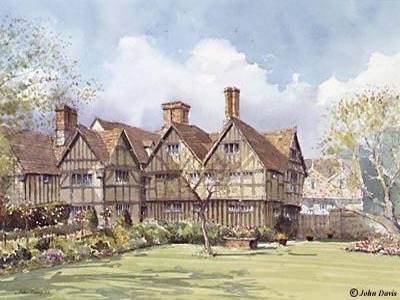 Stratford-upon-Avon is a town, small in size but large in history and interest. The streets themselves hold a thousand delights with the chemistry of the ages mixed in with the needs of today. It is a thriving and busy town of just over 20,000 inhabitants whose day-to-day business is conducted amongst the rich architecture. The layout of the town is based on a medieval cross system and therefore finding your way around is relatively easy. You will find wall mounted tourist maps in Rother Street Market and at the top of Bridge Street, alternatively if you lose your bearings then please take a look at the Stratford street map.